To be considered for admission to Millsaps MBA program, students must submit official GMAT scores, undergraduate transcripts, two letters of recommendation, and a twopage essay. The graduate admissions committee may also request an interview. Students can apply for admissions for the fall, spring, or summer semester, and they may apply for entrance...To be considered for admission to Millsaps MBA program, students must submit official GMAT scores, undergraduate transcripts, two letters of recommendation, and a twopage essay. The graduate admissions committee may also request an interview. Students can apply for admissions for the fall, spring, or summer semester, and they may apply for entrance directly after finishing their undergraduate studies. The Else School Career Center assists undergraduate and graduate business students in their internship or job search; they are also available to Else School alumni. The Career Center organizes networking events and career fairs on campus, offers resume and inter­view assistance, and runs career-related workshops throughout the year. Through the Career Center, business students also have access to numerous online job boards. While students say their career prospects look good, they also say the school could “make sure that working students (older students) are aware of career fairs, career opportunities,” which are generally directed at recent graduates.Not only is a Millsaps education “highly regarded in the region,” it is the “only accred­ited MBA in Jackson,” so students have a serious advantage in the local job market. Plus, the school’s faculty has strong ties in the local area, so “Communication and networking are easily facilitated here.” Outside the Jackson area, there may be fewer opportunities to translate a Millsaps MBA into a top-notch job offer. 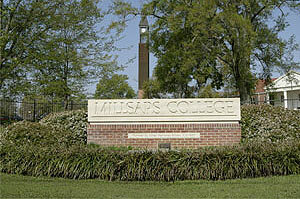 Almost all of Millsaps business grad­uates take positions in the South. Want more info about Millsaps College Part Time MBA? Get free advice from education experts and Noodle community members.